Seeing as in this thread http://rebelconquer.net/post/579095/updated-kn-hud didn't get a respond, perhaps you can try to update this old ancient piece of junk http://www.mediafire.com/download/aww497r0244fhl8/KNHUD+old.rar if you ever have the time. The name of it is Garmen Q-M, I have it but not updated that I can upload. It needs updating since gunmettle I think. Here's another outdated HUD that might interest you, it's not popular (probably because it hasn't been alive for very long) but unique and is based on one of collycat's designs. 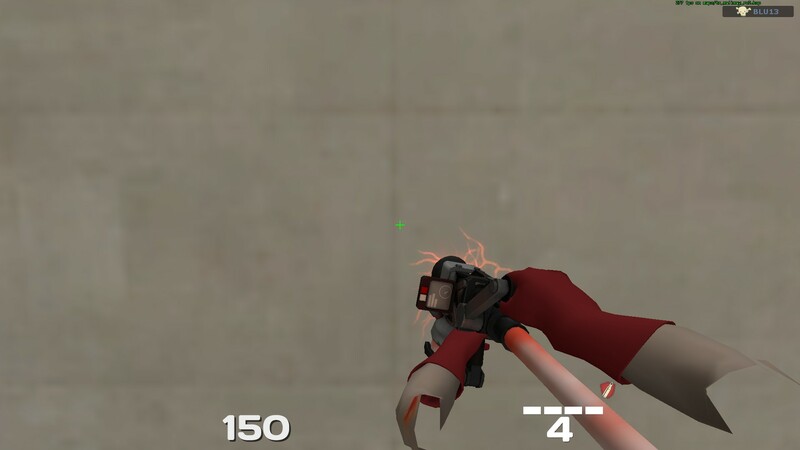 [url=http://tf.gg/8247/?page=116#3454]Here's another outdated HUD[/url] that might interest you, it's not popular (probably because it hasn't been alive for very long) but unique and is based on one of collycat's designs. I have added your pvhud update to my github. I have added your [url=https://github.com/Chilcott/PVHUD]pvhud update to my github[/url]. Soup8Seeing as in this thread http://rebelconquer.net/post/579095/updated-kn-hud didn't get a respond, perhaps you can try to update this old ancient piece of junk http://www.mediafire.com/download/aww497r0244fhl8/KNHUD+old.rar if you ever have the time. I have to ask, how do you update your huds to get the custom main menu, the winpanel fixed and other stuff? That's weird! 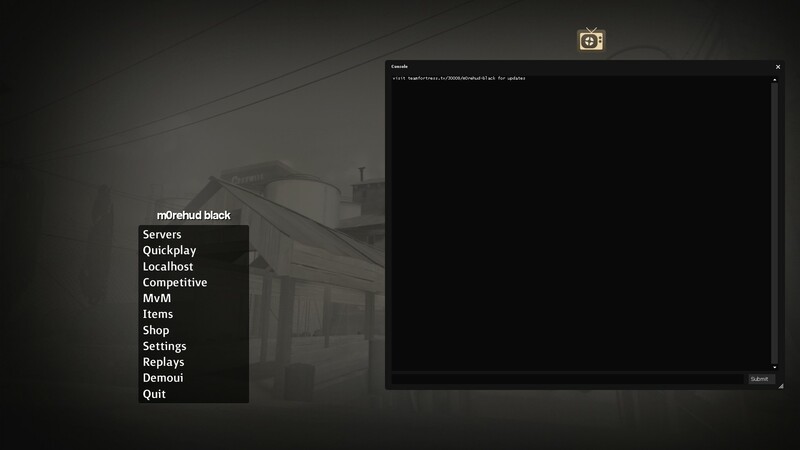 actually i don't even know which file controls it since I thought it was the same as the motd you got while joining a server, but that's working for me so i suppose is different idk HELP. RetroBiruussI have to ask, how do you update your huds to get the custom main menu, the winpanel fixed and other stuff? For the recent updates you can check huds.tf updating guides, omni is doing a great job explaining how to fix your hud updated after updated, these are some examples. It's working fine for me as you can see from the screeshots, can you post a screen of the problem so i can see what it looks like? Is there any chance you could just give a basic tutorial on what it is you actually implemented (frequently) to update the HUDs so people can maybe give it a try themselves? Anyone who knows would just be referencing default hud files etc, but most people don't know to do that. works now but i cant see the nonifications thing when you get items etc. i was using the pvhud for the last 2 days and never crashed for me, is someone else getting this problem as well? and added custom taunts/build/eureka menus to some huds! if you would, could you please fix rads hud vaccinator charge thing? thank you very much! You might want to change this and take credit for your work.